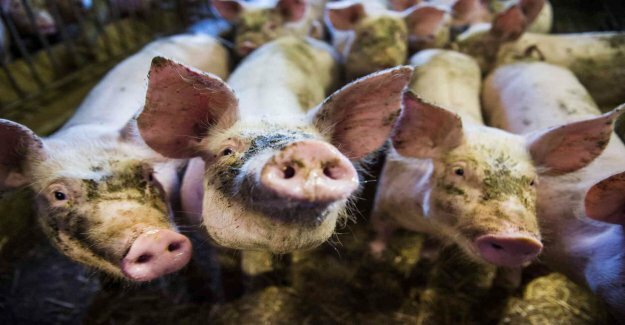 "The MRSA bacteria in nine out of ten Danish slaughter pigs"
"of Resistant bacteria, MRSA, is found in nine out of ten Danish swine herds, reveals a random check made by the Danish equivalent to the national Food agency, Fødevarestyrelsen." "The last year has samples taken from 130 different plants for pig farms. The results show that the MRSA incidence is on the same level as in 2015." "Even farms that drives organic pig farming and breeding of free range pigs have been investigated. In approximately one-fifth were found to MRSA." "the Animals that carry the bacterium are not themselves sick. According to experts assessed the risk of proliferation to the people to be limited and can be avoided with normal food hygiene in the kitchen." "the Bacteria can be transmitted from animals to humans through direct contact, but spread only in rare cases from human to human."